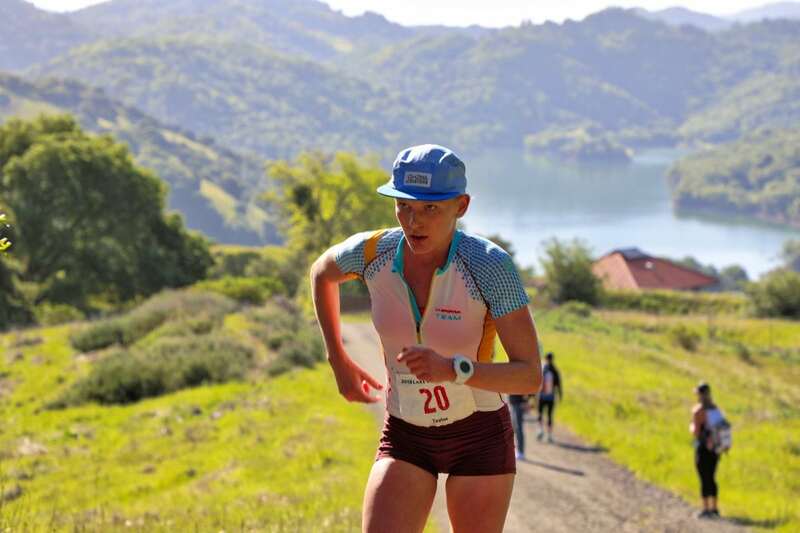 On a warm, sunny April day at the 2018 Lake Sonoma 50 Mile, Jim Walmsley (post-race interview) and Keely Henninger (pre-race and post-race interviews) went off the front from go, set their own paces, and in the process of winning, absolutely dominated their respective fields. In addition to the win, Jim took home a new course record, bettering his own 2016 course best by more than nine minutes. 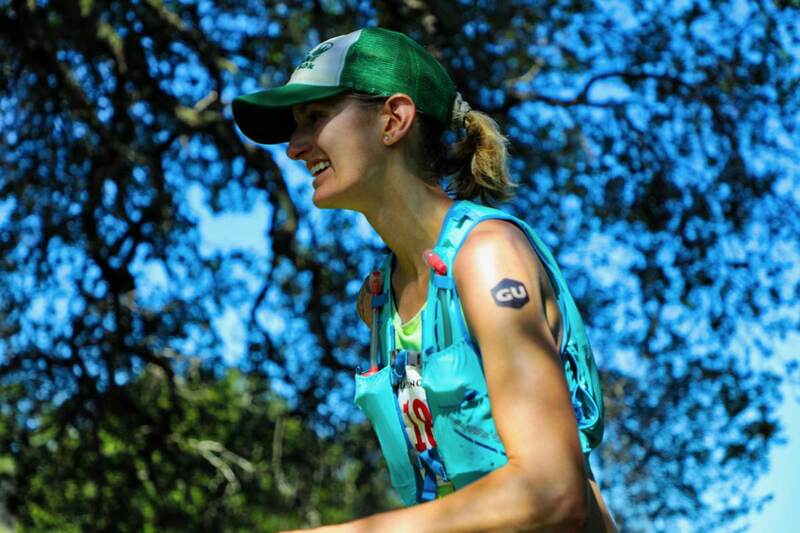 And Keely, though running for and ultimately missing the women’s course record, continues her 2018 winning streak and upward trajectory in trail ultrarunning. 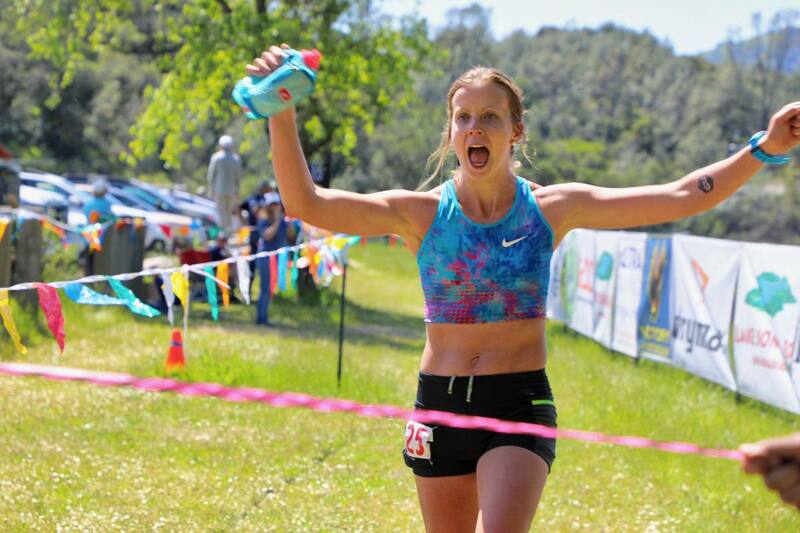 As the final race in the Altra Golden Ticket Series where entries can be earned into the Western States 100, two men and two women took home Golden Tickets, too, and added some extra spice to the day’s events. 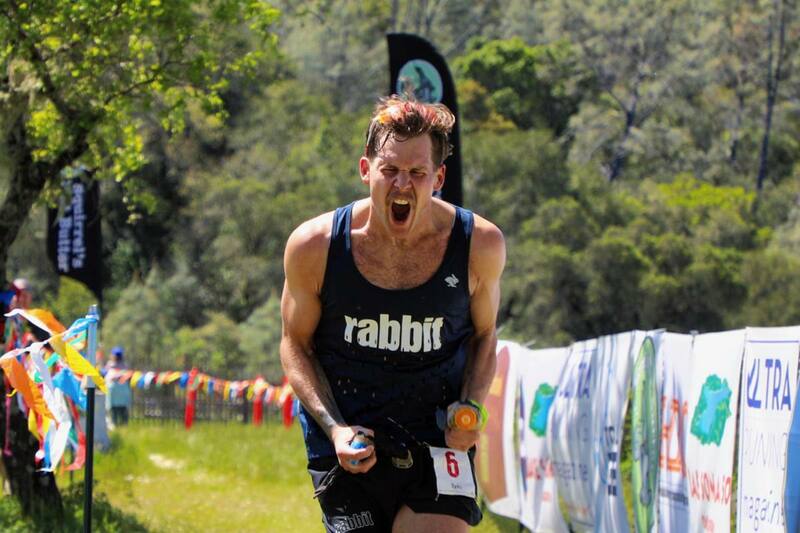 Thanks to Jaybird for supporting our coverage of this year’s Lake Sonoma 50 Mile. You, the iRunFar reader, can join them in supporting our race coverage by becoming a monthly patron on Patreon or making a one-time donation. To get all the latest ultra news from iRunFar.com, subscribe via RSS or our daily emails. 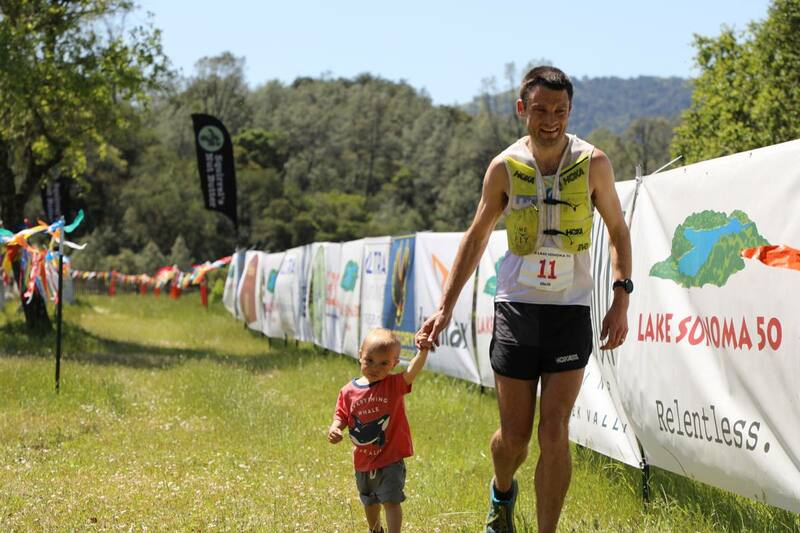 He already had a Western States entry and the Lake Sonoma course record before the race started, so you could say that Jim Walmsley (post-race interview) had nothing to lose by going out hard and giving it. This year, instead of hanging tight with the lead men for the first 10 miles or so like he did in 2016, Jim flew solo basically off the start. At each checkpoint from mile 12 through 38, Jim gained time incrementally on his course record, going as fast as 11 minutes under his own record pace at mile 38. Just time trialing against himself, really, in the heat of the day and perhaps a result of his hot early pace, he gave back a minute and some change on his record in the race’s final miles, still resetting his course best by nine-plus minutes to 5:51:16. After a 2017 riddled with injury, Jared Hazen (post-race interview) is healthy, fit, and going to Western States courtesy of his shiny new Golden Ticket. What was the M.O. in both the men’s and women’s races, the second-place finisher settled into their ultimate position early. In Jared’s case, by mile 12, he was squarely in second. Jared would say after the race that, like many, he felt good for three quarters of the race before suffering the final 12 miles or so. Suffer or not, Jared held steady through his second-place finish at the line. After the race, Jared said his primary objective was to earn a Golden Ticket and get back to Western States. Mission accomplished, Jared! 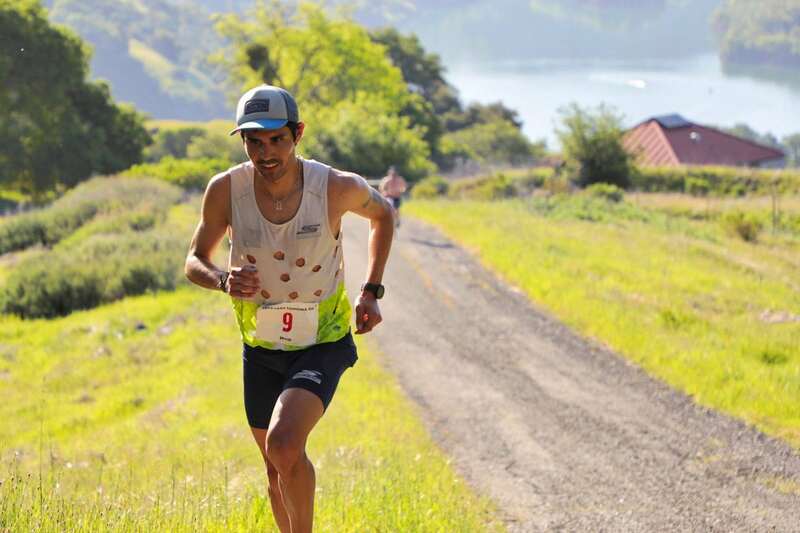 Mario Mendoza (pre-race and post-race interviews) really wanted to get on the podium at Lake Sonoma, and he earned his second third-place finish at Lake Sonoma, as he also did two years ago. 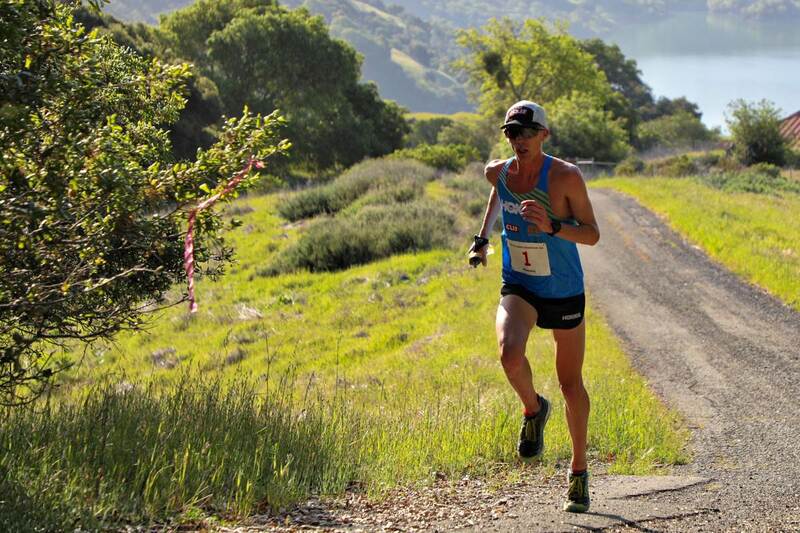 Already bearing a Western States entry, Mario, too, had little to lose in going for it, and so he did. It wasn’t far into the race when Mario slid into third place and stayed there. 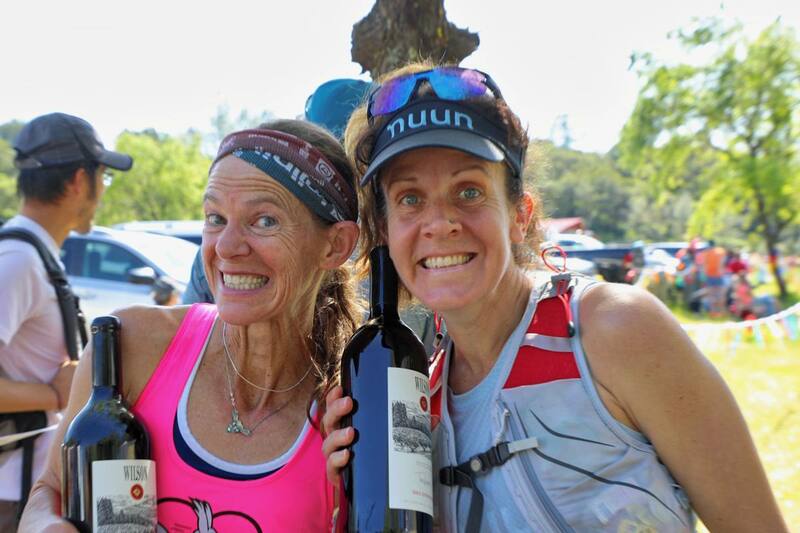 While it seems that the front packs in trail ultrarunning these days are dynamic and changing from start to finish, this year the men’s and women’s Lake Sonoma podium settled out early and stuck, Mario included. 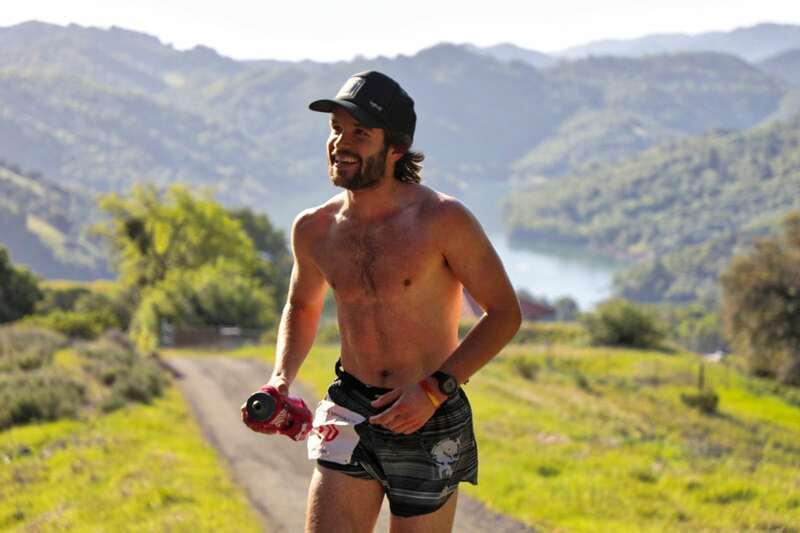 He, like everyone, struggled a bit in the midday heat, and said post-race that the importance of heat training ahead of Western States in June was definitely underscored by this weekend’s sun. 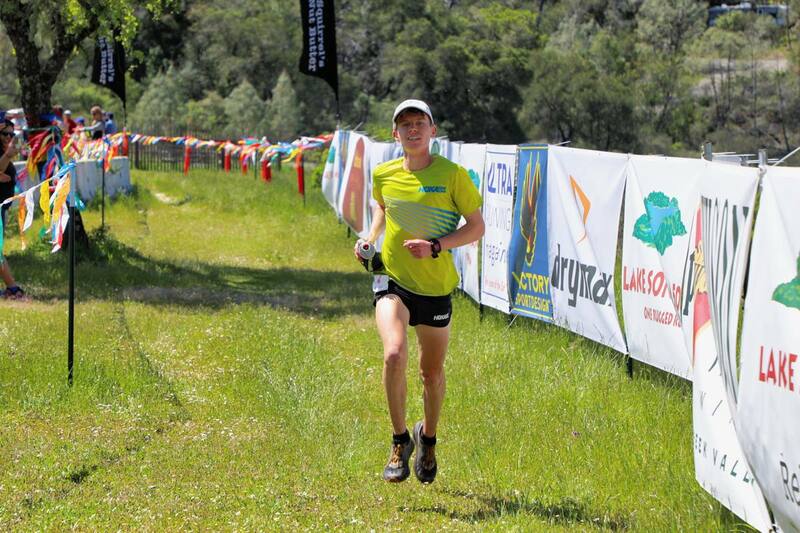 Eric Senseman (pre-race and post-race interviews) got a Golden Ticket to Western States, too! The dude’s excitement upon arriving to the finish line in fourth place and in Golden Ticket territory was thoroughly infectious. Before the race, Eric said he planned to temper himself early before racing in the second half–I think he said, “Don’t be surprised if I’m in eighth at half way.”–so I was a little nervous to see him running in fourth place as early as mile 12. In the end, there was no reason to worry as Eric held strong and put time on everyone in the field behind him in the race’s final 12 miles, crossing the line and earning his Golden Ticket. #seeyouinsquaw. Local up-and-comer Drew Macomber had a breakout race in rounding out the top-five men. Though Keely Henninger (pre-race and post-race interviews) said after the race that she didn’t intend to run off the front from the start, that’s how it worked out. What she called her comfortable, moderate pace quickly led her to the front of the women’s race. 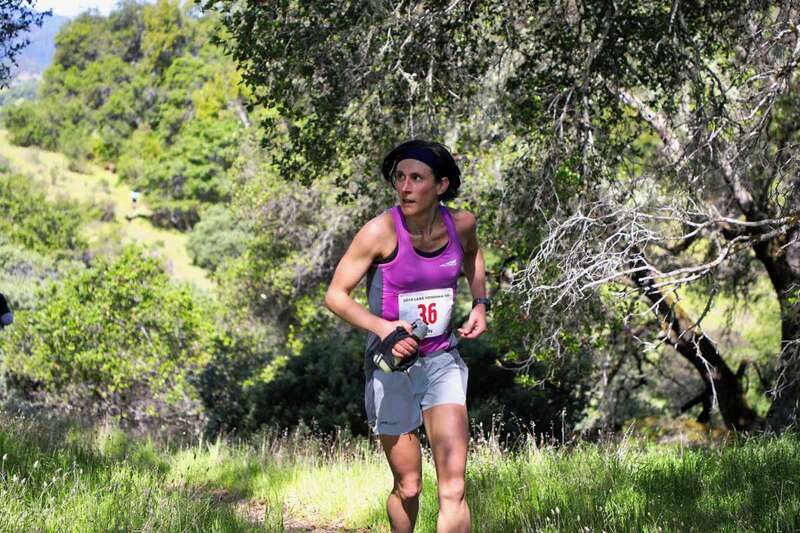 From start to finish, Keely ran in no-other-woman’s land, only sharing the trail with those in the men’s race. As early as mile 12, she timed in at about two minutes under course-record pace, where she’d basically remain each time we saw her until after mile 38. The heat and sun at midday chewed most people up, and Keely said she felt it and eased off the gas when the sun went full tilt. Though Keely was offered a Golden Ticket entry into Western States, she declined it to instead race the Lavaredo Ultra Trail in June in Italy. Taylor Nowlin (post-race interview), who fits smack dab in the up-and-comer category, ran herself into second place quite early in the race, a position, like Keely in first, she’d hold all the way until the finish. Taylor said after the race that the first 30 or so miles came easy for her, but that her nutrition suffered in the final miles and she struggled to maintain a good effort. 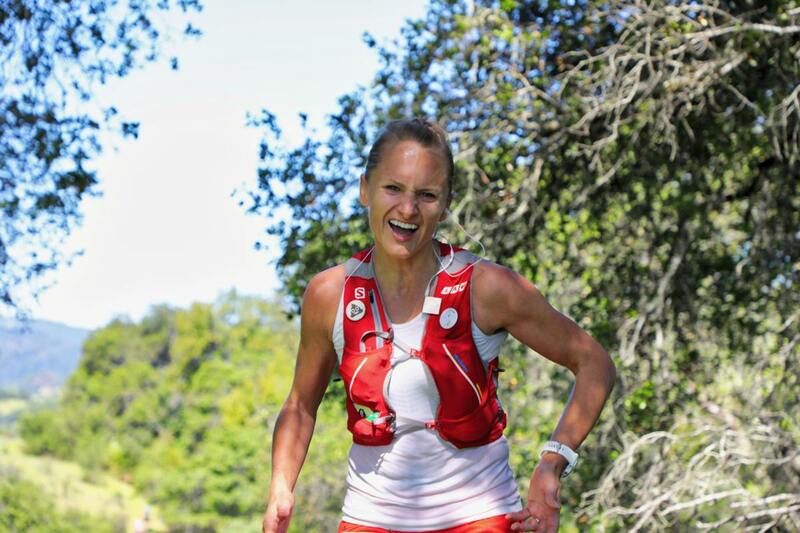 She also said that she felt some pressure when she caught sight of third-place Camelia Mayfield on the short out and back at the final aid station, at mile 45.5. She must have had plenty of gas in the tank, though, holding her own to the finish. After the race, Taylor said she was undecided on whether she’d accept her Golden Ticket, as she’s also considering the Lavaredo Ultra Trail in Italy. On Sunday Tuesday after the race, the Western States race organization said that Taylor accepted declined her Golden Ticket. Camelia Mayfield (post-race interview) earned a Golden Ticket, too, on account of her third-place finish here. Another up-and-comer, Camelia checked into the mile 12 aid station in fourth place, but found her way into her ultimate finishing position before the race’s halfway point. As others slowed late race, Camelia crept up to second-place Taylor Nowlin around mile 45.5, coming within about one minute of her. Both maintained pace from there, however, going two-three across the finish line a minute apart. Camelia, we’ll #seeyouinsquaw, too. Ahead of the race, Gina Slaby (pre-race interview) said she’d aim to start steady and hopefully move up in the race’s second half, and that’s exactly what she did. In sixth at the race’s halfway point, she moved up to fourth place by the race’s end. Gina would earn the second women’s Golden Ticket. Rounding out the women’s top five was Amy Leedham. Thank you to Jon Murchison and Mark Nassi for their help with our live coverage. We couldn’t have done it without you! Any news on Shadrack? I saw him on the preview but don’t see him in the ultralive results. Bummer. Thanks for the great reporting on this race, as always! Jim is so dominate at short distances, it’s insane. He could have broken the CR two years ago at WS but got off course, as we all know. He is a tremendous athlete who seems to still be only getting better now 3 ish years into the game (though I think he is racing slightly less, which, I think will probably be good) and still doing great. I’d really love this to be the year when he nails a couple 100’s. I think WS this year could be one for the ages. I am neighbors of winner #6, Jeff Mogavero, in the Men’s Division. I’ve seen glimpses of him training our local roads for over six months and he always makes his long and fast runs look effortless. Such Grace! Congratulations Jeff Mogavero!